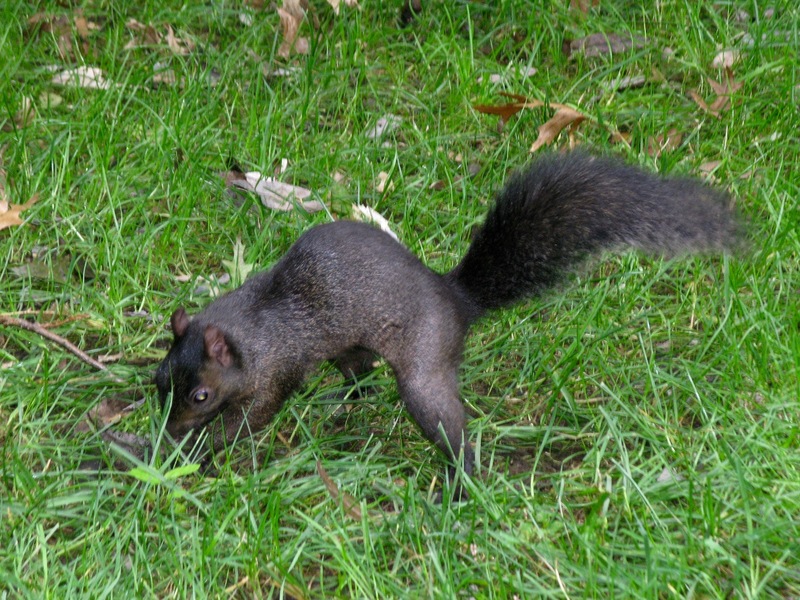 A melanistic variation on the ubiquitous Eastern Grey Squirrel, Sciurus carolinensis. These darker ones are said to tolerate colder weather better. Another notion has it that urban environments, with less predators, are also more likely to see greater numbers of both black and white variations of S. carolinensis. Our first example is digging up a nut or berry, but these squirrels are so successful because they’re practically omnivorous. 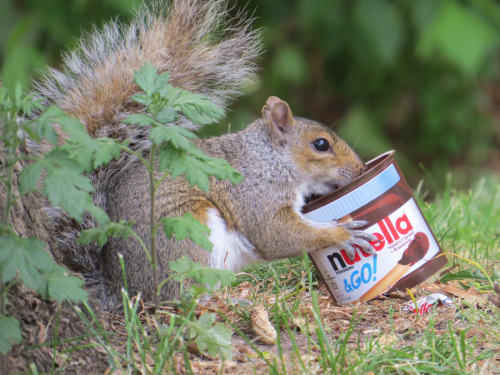 The leftover-monger with snout in the hazelnut spread is from 2015 in Prospect Park. Besides scavenging our ample waste-food, gathering seeds, nuts, and fruits, and the occasional invertebrate and even vertebrate, they also eat mushrooms. Not sure if the small, tentative bite marks here, however, are squirrel. 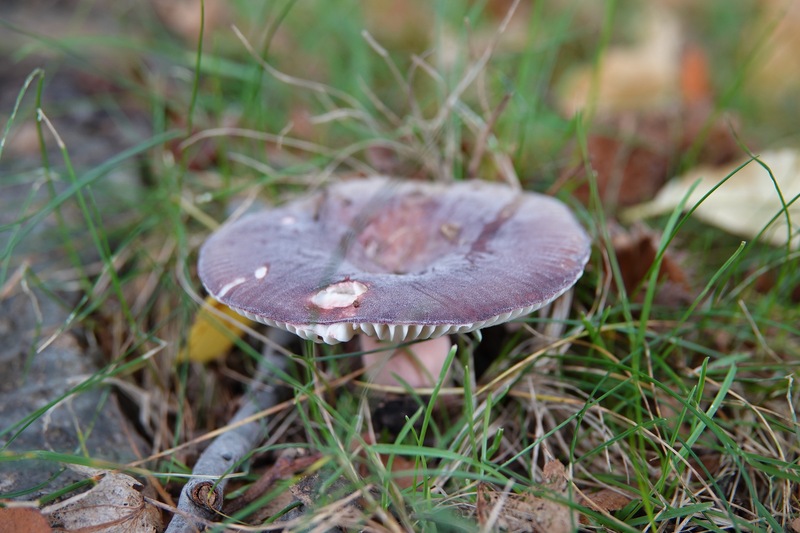 This mushroom was found in Green-Wood, which interestingly doesn’t have as high a density of squirrels as Prospect Park or the botanical garden in the Bronx (first picture).